→What Is The Best Android Auto Head Unit in 2019? As Android operating systems become more and more popular, they are being used in a number of different ways. In fact, Android operating systems can now be used in tandem with a car head units to give your car’s sound system ultimate functionality. But if you’re going to use Android Auto in your car, you’re going to need an Android Auto head unit. These head units are designed specifically to accommodate Android Auto, and will allow you to perform GPS functions, web searches, and more, all from the heart of your car’s sound system. Looking for the best Android Auto head unit for you? This helpful guide has you covered. What Should You Consider When Choosing an Android Auto Head Unit? Every head unit that you come across will be just a little different from the last. These devices possesses a number of different components, all of which contribute something a little different in the ways of quality and functionality. So what should you keep an eye on when looking for an Android Auto head unit? Ease of use, functionality, interface, and compatibility capabilities are the primary qualities. Whereas some head units can be operated with the pressing of just a few buttons, others can be seemingly impossible to navigate. One thing to look out for is mandatory voice messages. These messages will play regardless of whether or not you want them to and can be very annoying when you’re trying to listen to music or perform some other task. These head units are all capable of very different types of operations. While some are only equipped to handle music and voice activation, others can handle everything from GPS, to app processing, and more. Be vigilant as to what exactly you’re getting with your chosen head unit. The quality of a head unit’s interface will have a big impact on how easy it is for you to use. A good interface prioritizes simplicity over everything else. You don’t want to have to reach around for thousands of buttons while you’re driving. You want everything positioned in a clear, simple, and concise manner. The last thing you’ll want to consider when purchasing a head unit is its compatibility with your automobile. Some head units are quite simply too large to fit into the consoles of some cars. It might even be a good idea to call the manufacturers of the head unit and your car to make sure that they’re compatible. Very arguably the best Android Auto head unit on the market today is the Sony XAV-AX100. This unit is a little costly, but offers more than enough in functionality and ease of use to make it worth its price. It’s equipped with a 6.4-inch screen, giving it reasonably big size compared to most other head units. Offering bright, nuanced color, it’s very easy to read and interpret regardless of where you’re sitting in your car. 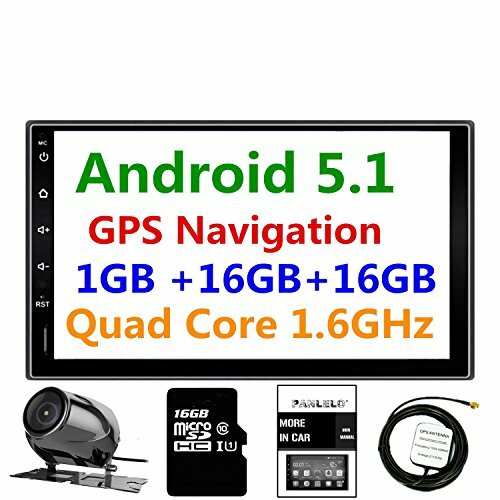 This unit is compatible with not only Android Auto, but Apple Car Play as well. It can handle everything from GPS, to text messages, to voice activation, and much more. The only true negative it possesses is a popup that appears every time it’s turned on. It’s a little annoying, but bearable. Altogether, this is a very solid head unit. It’s not perfect (because no Android Auto head unit is at this time), but it’s about as good as you’ll find. 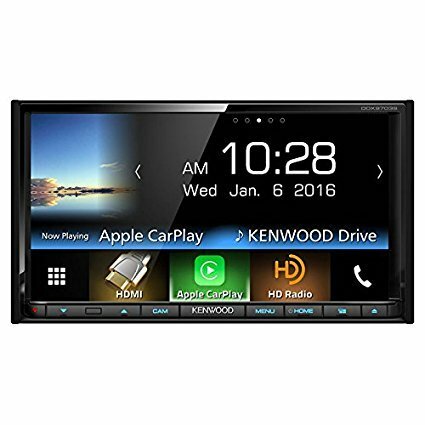 Up next is the Kenwood DDX9703S 2-DIN. 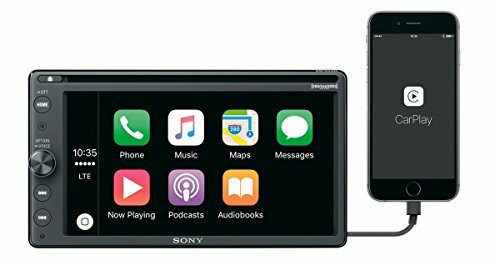 This head unit is similar in overall quality to the Sony reviewed above, but does possess some noticeable differences. The first difference you’ll notice is that the Kenwood is equipped with a slightly larger screen; 6.95 inches to the Sony’s 6.4 inches. As far as picture quality goes, both head units are about the same. Like the Sony, the Kenwood is compatible with both Android Auto and Apple Car Play. It can accommodate everything from voice activation, to texting, to GPS, and much more. With a 32.8-foot range, it will have no problem with syncing up to any phone in its shared car. Its buttons are strategically located to allow for seamless operation. This makes it very intuitive and easy to use. Quality-wise, this head unit is right on par with the Sony reviewed above. However, it is a little more expensive as well. The Jensen VX7020 is arguably the best Android Auto head unit for the money, offering much of the same as the Kenwood and Sony reviewed above, but for much less money. This head unit is equipped with a 6.2-inch screen, giving it decent size compared to others on the market. The screen produces fairly bright and detailed picture quality, allowing you to see it clearly from all over the car. 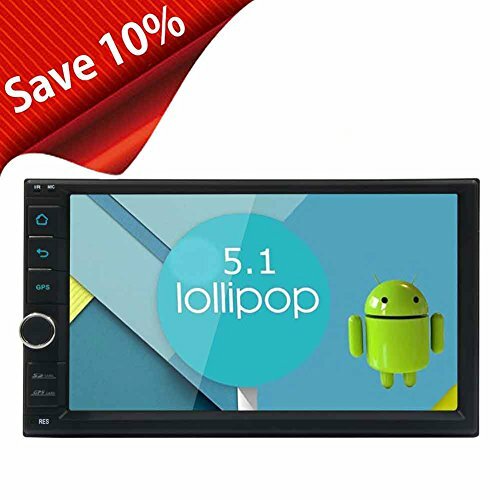 It’s compatible with both Android and Apple, and can accommodate everything from GPS, to voice activation, to Sirius Radio apps, to Pandora, and more. In addition to Bluetooth capabilities, it also possesses a USB port so that you can connect your phone directly. 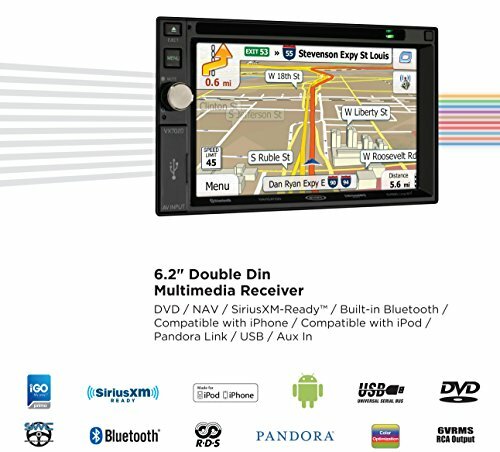 If you’re looking for a terrific head unit at a fair price, this would be a great option for you. A solid middle of the road head unit is this one from Lanzar. Packing a 7-inch screen, it’s just a tad bit bigger than the ones reviewed above. This head unit is compatible with Android only, meaning that Apple users will have to look elsewhere. With a clear, nuanced, and brightly lit screen, it can be seen from anywhere in its general proximity. Not only can this head unit accommodate GPS, but it can also stream video, music, and pictures. With 16 GB of storage, it can also allow for the use of SD cards, giving you as much storage capability as needed. Coming with this head unit is a dash cam which allows you to see what’s going on behind you. This allows you to back up with absolute precision and ease. While it’s not the best head unit around, it’s fairly solid. 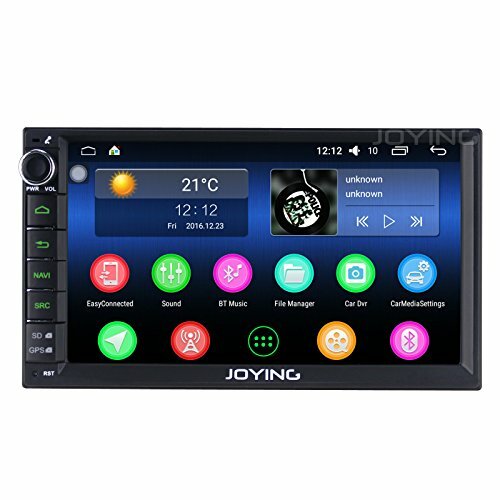 Another head unit with a 7-inch screen is this one from JOYING. Like the Lanzar reviewed above, it’s available for an average, middle of the road price. 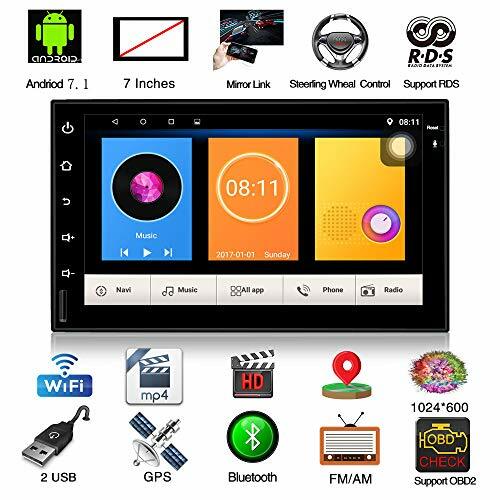 This head unit offers plenty of features, from online and offline maps, to Google Play Store, to weather forecasts, and more. In addition to this, it possesses a built-in WiFi module which allows for hotspots to be created while you drive. It also possesses Bluetooth capabilities, allowing you to operate it through your voice, and to talk to people on the phone without having to hold your phone in your hand. Overall, this is a very nice auto head unit; especially for its price. In fact, if you’re not looking to spend an inordinate amount of money, this is probably the best Android Auto head unit for your purposes. 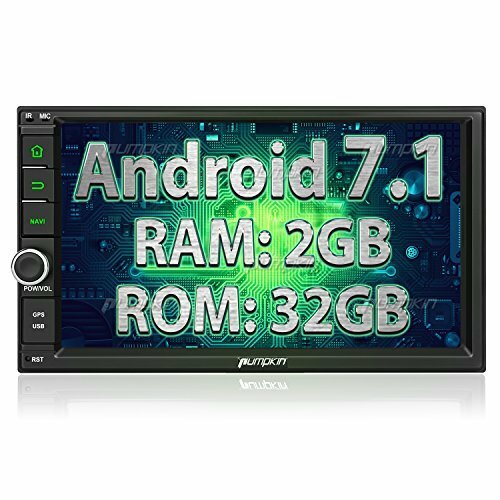 Another terrific mid-level Android auto head unit is this one from Pumpkin. It’s similar to the JOYING in terms of both price and functionality. Like the JOYING, it possesses a 7-inch screen. It comes with a bevy of useful apps installed, and possesses 32Gb of ROM, allowing you to install even more. If you’ve got tv screens in the back of your seats, it will allow you to watch YouTube videos through them. With a high-quality GPS navigation system, it can be operated with the use of just your voice. Its Bluetooth system also allows you to make hands-free calls, and to perform hands-free operations. There are only a few buttons on this head unit, making it fairly simple to operate while you drive. Its screen lights up brightly, and does a decent job or resisting sun glare. Overall, this is a rock steady, middle of the road head unit. Next up on our list is this head unit from EinCar. Available for around half the price of the Pumpkin unit reviewed above, it doesn’t possess as much storage, but still offers quite a few features. It’s equipped with a 7-inch screen, making it easily big enough to display pertinent information. With 16Gb of memory, it’s capable of downloading quite a few apps. A GPS app comes pre-installed so that you can start using it immediately after it’s been installed. Like the other head units on our list, it sports Bluetooth capabilities, allowing you to make hands-free calls, and to perform hands-free operations. In essence, this is a solid budget auto head unit. It’s not quite as fast or as powerful as higher-end units, but it’s a great option for those who are seeking out something inexpensive. Another budget head unit is this one from Henhaoro. While it’s at the same price level as the EiCar reviewed above, it falters when it comes to overall quality and functionality. 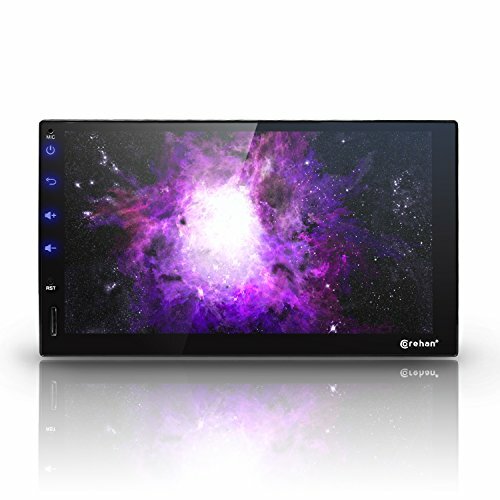 Its screen measures in at 7 inches, making it big enough to accomplish any task you could ever think of. In addition to this, it possesses a fairly simple and intuitive interface. You shouldn’t have a lot of trouble trying to operate it. While it has Bluetooth capabilities, they are far from great. Your phone will stay connected fairly consistently, but will sometimes run into problems with transferring music and image files. It packs a respectable 16Gb of memory, allowing you to download quite a few apps. The one app that you won’t have to download is a GPS app. It comes preloaded with a GPS navigation system. This is, at best, an average budget auto head unit. The Corehan Touch Screen Car Stereo is at about the same quality level as the Henhaoro reviewed above, but costs about twice its price. The only reason you should ever buy it is if you’re struggling to find another head unit that’s compatible with your vehicle. It comes with a GPS navigation system, allowing you to use it as soon as it’s installed. However, for its price, it lags far too much. With 16Gb of ROM, it has enough room to store quite a few app downloads, but pales in comparison to other units at its price range. Like the Henhaoro, it possesses Bluetooth capabilities, but is far from consistent when transferring music and image files. In conclusion, this is a budget-level head unit at a mid-level price. It’s not worth its price tag. 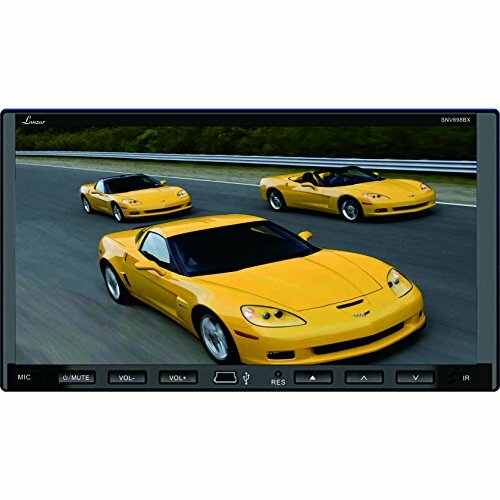 To round out our list of head units, we’ll cover the Panlelo PA09YZ16. This is a solid budget head unit which isn’t exceptional, but which will get the job done. It comes with 16Gb of storage; a common amount of memory for a head unit at its price range. With a preloaded GPS navigation system, it will also allow you to download a bevy of other apps. The screen on this unit measures in a 7 inches in length, making it easily big enough for you to perform any necessary operations. While it comes with Bluetooth and WiFi, both functions are average at best. You’re not going to find a high-end connections with this unit. But if you’re looking for something solid for a decent price, this wouldn’t be a terrible option.